Scenic, South Dakota is a tiny town at the edge of the Badlands National Park. 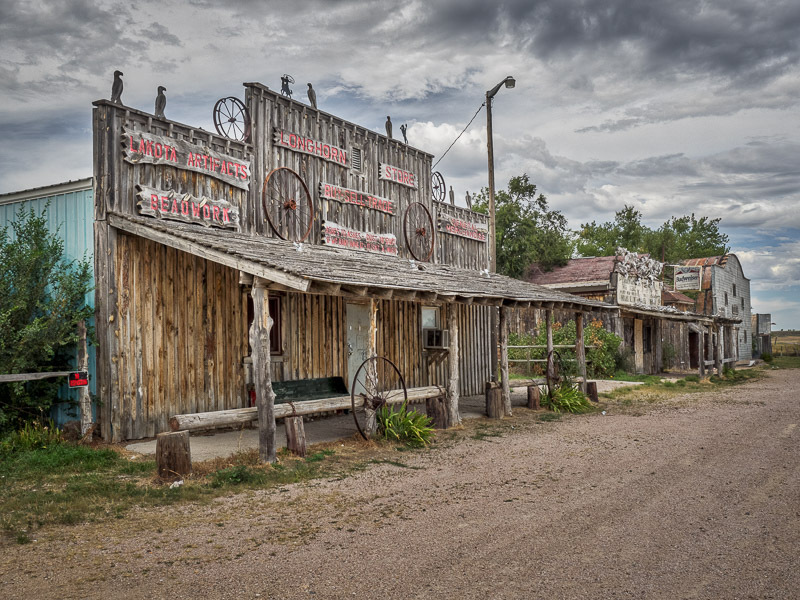 It was known for a bawdy “Old West” saloon. 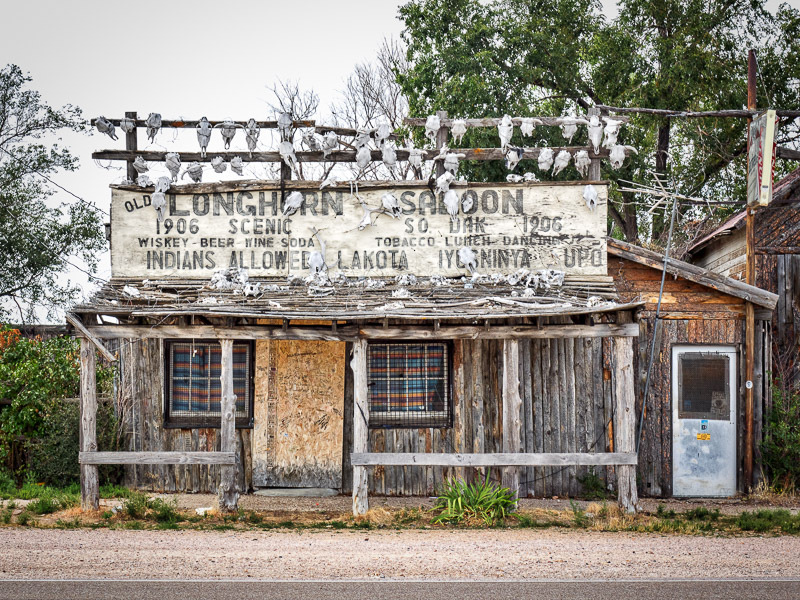 The saloon was closed down after the town was purchased by an obscure religious group, creating a great ghost town to be photographed. The town was not completely deserted, however. 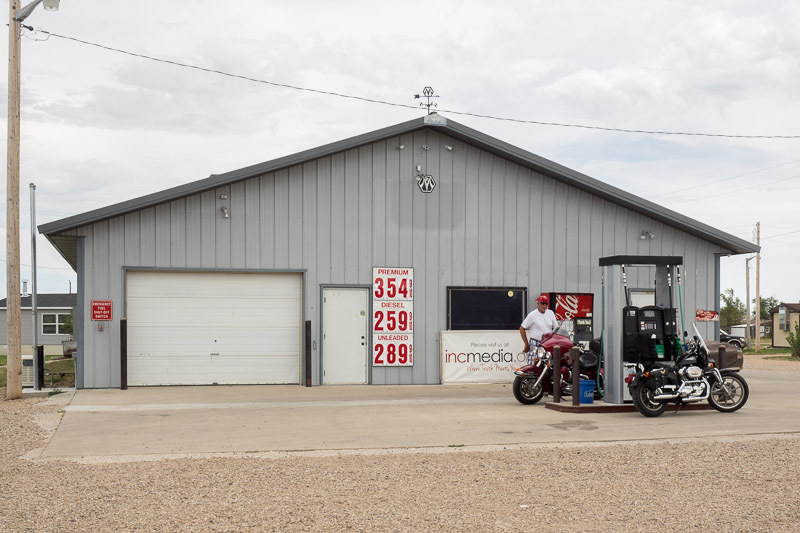 There were a handful of residences that were occupied and the gas station was functional, even if not attended. Right across the street from the old saloon, technology ruled the day. The pumps worked with a credit card and even the Coke machine worked ($2.00 but still … ). ~ by Admin2 on September 6, 2015.